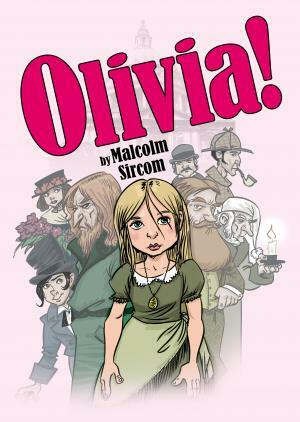 As the name suggests, "Olivia" is based on a favourite character from childrens fiction-the orphan Oliver. However, not only does this musical substitute the lovable boy character for a girl, but it also entwines other familiar faces such as Eliza Doolittle and Ebenezer Scrooge. "Olivia" opens with 'Orphans' which sets the scene in Mrs Murdstone's Orphanage for Girls-a grimy, dark environment. Upon hearing music, Mrs Murdstone enters and puts the girls in their places, before generously allowing them two minutes to become acquainted with the new addition. As the girls try to discover more about Olivia, she produces a locket which she believes holds the answers to the unanswered questions about her childhood. Warning her to keep it out of Mrs Murdstone's sight, the girls barely have time to bond before Mrs Murdstone enters with Dickens to serve breakfast. 'Slop' follows as the orphans try to bring themselves to eat the gruel. Full of zest, Olivia dares to go and ask for less and threatened with being sent to the Hole she makes a run for it and escapes; a reprise of 'Orphans' follows. Realising how alone she is, Olivia sings 'Happiness Somewhere' before Dickens catches up with her. However, in a surprising event, Dickens encourages the young girl to continue on her journey and makes the ultimate promise to try and abandon the slop and feed the girls something edible! The next familiar faces are Dodge and Fagin who sing 'Good Times' before pinning their eyes on Olivia who they use as their accomplice in order to steal George Bernard Shaw's wallet. Feeling sorry for the girl, Eliza decides to introduce her to Mrs Dilber who runs a pleasant house for orphans. Unfortunately, Dodge and Fagin aren't as lucky as they hoped when they find the stolen wallet contains opera tickets. However, never ones to feel down, they embrace the discovery and sing 'Lets Go To The Opera'. At Mrs Dilber's Poor School For Girls, Olivia is welcomed and fits right in. She demonstrates her skills in singing 'If There's A Star' and is sent to Covent Garden with Emily and Charlotte to collect money for charity. 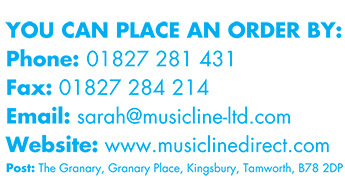 'That's Life' is sung by Mrs Dilber and the girls. Back in Covent Garden, Annie shares a dream she had with the other flower girls which they believe is a symptom of amnesia and that some of Annie's past is coming back to her. Desperate to help her to discover who she is, Eliza offers to take her to see a detective who can help Annie find the answers. Olivia, accompanied by Emily and Charlotte are successful in collecting money for charity and through singing 'The Charity Rag' Olivia reaches dizzy heights with the amount she collects and even gets a florin off Scrooge! Noticing their old friend, Fagin and Dodger approach Olivia asking her to accept the role of the daughter in Gilbert and Sullivan's Trial by Judge. They appear reformed characters, and Olivia accepts willingly. In Sherlock Holmes study, Eliza and Annie enter and the detective helps Annie in trying to discover who she is and in 'Who Am I?' the audience see how desperate she is to find the answers. 'Here Comes The Judge' opens the following scene as Dodger is found guilty of littering the streets and 'The Criminal's Song' follows. The Daughter (played by Olivia) defends the criminal as she sings 'The Convict's Child' and this moving piece allows her father to be released. As the Judge exits, 'The Criminal's Song' is sung again. Returning to Covent Garden, Holmes and Watson reveal Annie's past to her; she was a passenger in a train crash outside Manchester and they also present her with a birth certificate of a baby? As Olivia enters after her performance in Gilbert and Sullivan's play, she is asked to sing a song. However, after the first line, Annie finishes it off and they both discover their connection as mother and daughter! Singing 'If There's A Star' together brings tears to the eyes and its a happy ending for Eliza as well as she is told she has been offered the opportunity to be taught how to become a lady by Professor Higgins and even Dickens makes a last minute appearance to share the good news that Mrs Murdstone's orphans followed Olivia's example and escaped! It truly is a happy ending for everyone.